Super functional teacher or vendor craft apron with 6 pockets and cuteness overload. This is a vendor apron, a.k.a. teacher apron, craft apron, waitress apron, waist apron, utility apron. There are a total of 6 pockets! 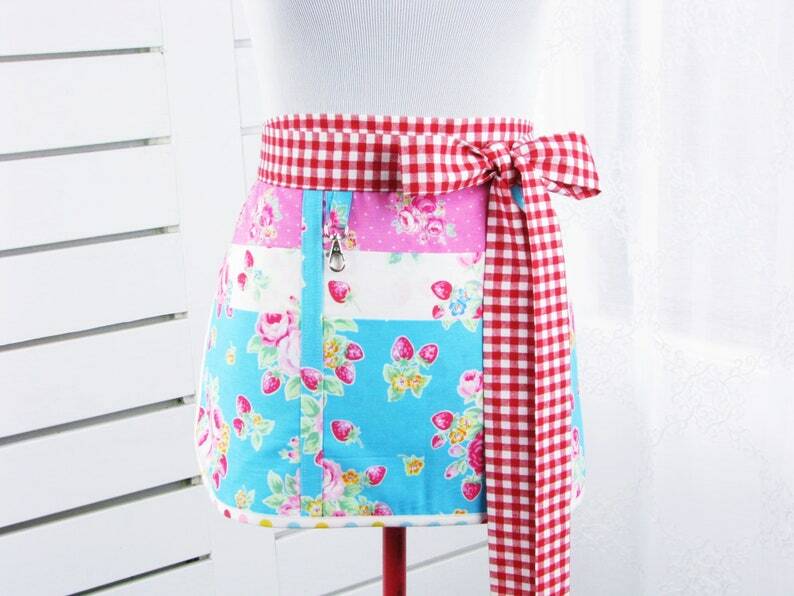 All of my aprons are made to look flirty and unique, with a hint of Mayberry, Candy Shop, Donut shop, flirty waitress, retro 50s, country picnic, barn dance, mom and apple pie. •	Professionally finished throughout, lining on all pockets and also the backside. •	About 20" wide by 13” Long - ish. •	Waistband and ties are a total of 3 yards; long enough to tie in front or back. •	Machine wash and dry, delicate warm cycle. Iron if needed.